Check Out Our New Episode Of IN THE NEWS! Here is our new episode of IN THE NEWS! Check out the new video! THE NEWZ EP 8 from Samson Crouppen on Vimeo. TMZ Tries To Throw Mike Epps Under The Bus! The Movie Review Of Burlesque! Here is our weekly moview review, but this week the movie reviews are done by The Broads which features comedians Jackie Fabulous and Ro! Check out the review! “Broad View” with Jackie Fabulous & Ro Review “Burlesque” from Jackie Fabulous on Vimeo. Steve Harvey Joins 2015 Essence Music Festival Roster! Jamie Foxx Talks Upcoming Role In 'Spider Man 2' & Possible Role As Mike Tyson! 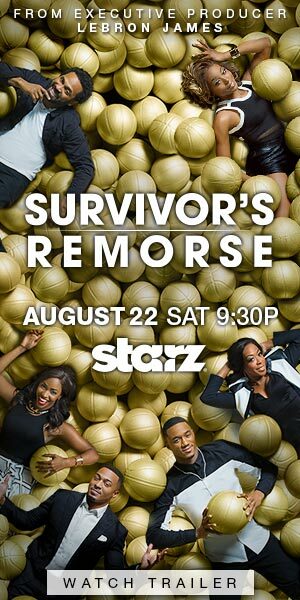 LeBron James' New Starz Comedy Series 'Survivor's Remorse' Drops New Trailer! Deon Cole To Star In 'Black-Ish', And Perform For Hartbeat Weekend In London! Comedian Aida Rodriguez Launches New Cosmetics Line! DeRay Davis Joins New Film With Angela Bassett Jumping The Broom!